Immerse your senses with this cutting edge 2.0 channel soundbar and transform your living room into an enchanting home cinema. 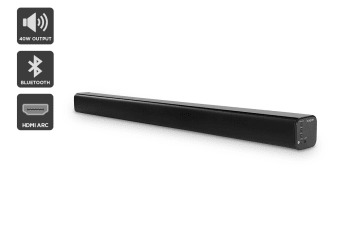 Take your home audio to the next level with the Kogan 2.0CH 40W Soundbar. Listen to your favourite beats in the same way the artist intended with a 2.0 channel system and two high quality speakers. Enhance your listening experience even further with DSP, providing sharper quality sound that bursts through the speakers. Be at the helm of lounge room envy with the beautifully designed, gloss finished Kogan 2.0CH 40W Soundbar – the perfect addition to your lounge room aesthetic. Utilising Bluetooth 4.2 technology, the Kogan 2.0CH 40W Soundbar easily connects to your phone so you can enjoy up to 18m of connectivity, letting you pump the audio from the other side of the house. 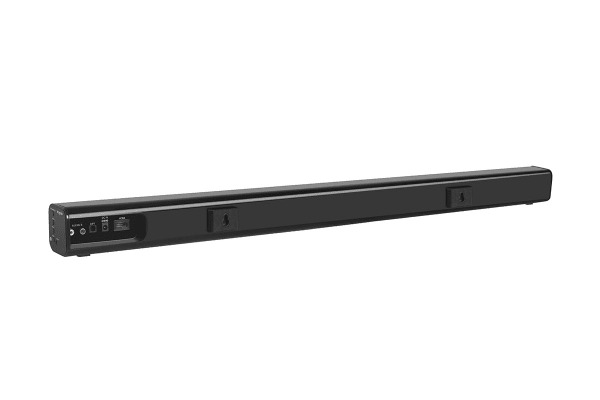 Whether you’re a gamer, audio buff or still hanging on to your vintage VCR, the Kogan 2.0 CH 40W Soundbar has every input you need.